The German lender is selling a $3.8 bln holding in retail bank Hua Xia to a local insurer. Like rivals before it, Deutsche is crystallizing a solid return – while admitting that minority stakes on the mainland are of little use. Capital ratios also get a welcome boost. 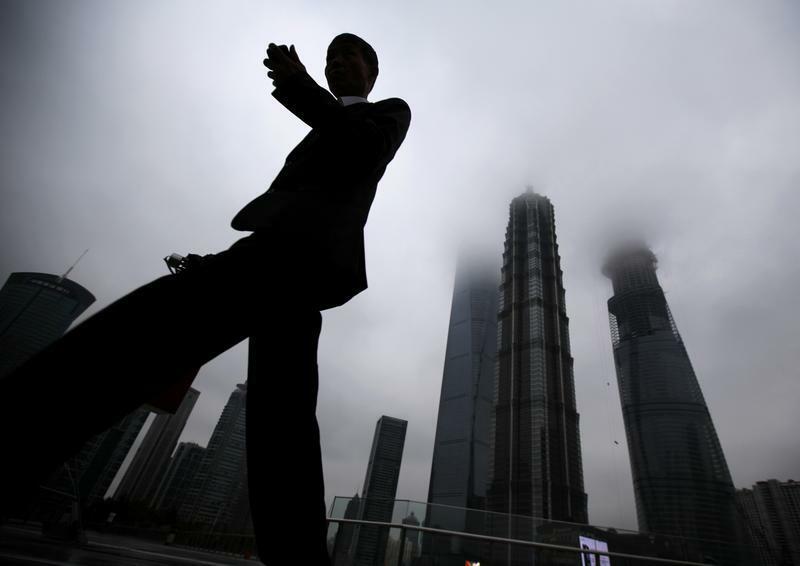 A businessman looks at his mobile phone as he walks in the financial area of Pudong in Shanghai May 30, 2013. Deutsche Bank agreed to sell its 19.99 percent stake in China’s Hua Xia Bank to Hong-Kong listed PICC Property and Casualty Co Ltd for between 23.0 billion and 25.7 billion yuan ($3.5 to $4.0 billion). Deutsche bought its stake in stages between May 2006 and April 2011. In a statement late on Dec. 28, Deutsche said the sale would have improved its fully loaded Common Equity Tier 1 capital ratio by 30 to 40 basis points. The bank’s reported CET1 ratio for end-September was 11.5 percent. The final price will be fixed with reference to Hua Xia’s trading price on the Shenzhen stock exchange in the run-up to, and after, the shares are transferred. The buyer told shareholders that the deal requires the approval of Hua Xia’s board and the China Banking Regulatory Commission. Shares in Hua Xia rose 2.8 percent by 1.15 p.m. (0515 GMT) on Dec. 29, to 11.76 yuan. Shares in PICC Property and Casualty dipped 1.2 percent to HK$16.02.